Two more FARC members have been murdered, taking the total number of killed FARC former combatants to 84 since the peace agreement was signed two years ago. In addition, around 20 close relatives of FARC members have also been killed. The FARC political party said that the killings occurred in the departments of Meta and Nariño. Both victims were participating in the reincorporation process for former guerrillas. The first victim was named as Sebastián Coy Rincón, who had been based at a Reincorporation and Training Camp in Meta. His body was discovered in the Uribe zone after he was reported missing on 15 November. The second victim, Ángel Aleyser Melendez, was found in the village of El Tablón de Leiva in Nariño. Having released a statement earlier this month denouncing what is said was an orchestrated plan to target FARC members, the party reiterated its call for the Colombian authorities to implement measures to protect former combatants. In a statement, the FARC said ‘we are not going to allow that the lives of peacebuilders continue to be taken while paramilitary structures reinforce in territories ‘consolidated’ by the national government. 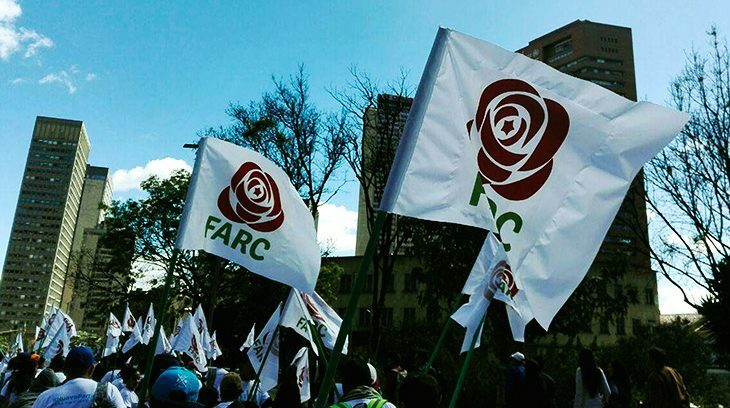 In addition to the 84 murdered FARC members, around 350 social activists and human rights defenders have been murdered since the peace deal was signed, including 226 between January and November of this year.